Royal Dragon Traders Review – Legit or Another Scam? Thanks for stopping by to read our Royal Dragon Traders Review. Is this company a facade for trading that will eventually play hide and seek with your hard earned cash, or actually a Legit Opportunity? Lets dig in and see what this company is all about! Royal Dragon Traders give no information about who runs or owns the business on their website. On April 20 2017, the Royal Dragon Traders site domain (“royaldragontraders.com”) was secretly registered. The Royal Dragon Traders is “operated by Magabel” from Dubai according to the Terms and Conditions of the company. I was not able to find anything more on this company. There is a Magabel Services that functions out of Belgium, although it does not seem to have anything to do with Royal Dragon Traders. Additional research discloses Johnny Dalini as CEO and Royal Dragon Traders affiliates naming Gary Granello and Bjorn Hauge as co-founders of the company. Take a note that I was not able to independently verify this information. As usual, if an MLM company is not honest about who owns or runs it, think hard and long regarding joining and/or handing over any cash. Royal Dragon Traders has no retailable services or products, with affiliates ready to advertise Royal Dragon Traders affiliate membership itself. The Royal Dragon Traders compensation plan looks at affiliates contribute bitcoin on the guarantee of a 2.2% per day ROI for 90 days (198%). Following 90 days, a Royal Dragon Traders affiliate is needed to contribute the same or more than they invested initially. By personally recruited affiliates a 10% referral commission is additionally paid on funds invested. 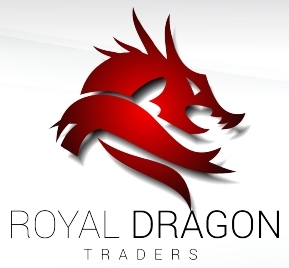 Royal Dragon Traders pay referral commissions through a binary compensation structure. A Royal Dragon Traders affiliate should recruit at least two affiliates who have invested, to meet all the requirements for residual binary commissions. In the binary team,the first level has two positions. The second level of the binary team is formed by separating these first two positions into additional two positions each (4 positions). Through direct and indirect recruitment of affiliates, the positions in the binary team are filled. Take a note that there is no limit to how vast a binary team can develop. With affiliates paid a percentage of matched funds, Royal Dragon Traders total up new investment on both the sides of binary team. For the next calculation, unmatched volume on the stronger binary side is carried over. Take a note that Royal Dragon does not indicate whether binary payments are estimated daily, weekly or monthly. Royal Dragon Traders affiliate membership is fixed to an initial investment between 0.05 and 6 BTC. The more an affiliate contributes the higher their income potential through the Royal Dragon Traders compensation plan. The trick behind Royal Dragon Trader's everyday 2.2% ROI is something they call the “1-4-8 System”. The 1-4-8 System is a robot-driven, algorithmic trading system developed, refined and tested for more than eight years that went live in February 2015. The forex industry is formed by a team of three software engineers, who have 10 years of experience, and in the development of the system has invested more than 12,000 hours. They have formed a trading platform which has been successfully utilized by 10,400 traders around the world to date. Therefore,two years of testing, with eight years of research and now a system that can produce a consistent 2.2% a day ROI? Wow, these guys must be among the wealthiest people on Earth already, right? That's wrong. Instead they are asking for money on a website that is put together a few weeks ago. Without evidence verifying any of the claims made on the Royal Dragon Trader site, the reality is its quite recent entry in the “bitcoin doubler” MLM niche. The bitcoin doubler niche came out, as the bitcoin matrix gifting niche started to slow down earlier this year. Using the model, the first company I came across was GladiaCoin, that launched back in March. With similar claims of trading powering the ROI, GladiaCoin offered the same “double your money in 90 days” rubbish. With the company collapsing before the first 90-day maturity period, all of that was of course nonsense. Finally, we heard GladiaCoin was regulating fees and withdrawal restrictions, which has escalated into suspension in the last few days of ROI payments altogether. Royal Dragon Traders pursues to copy this model, which will inescapable place affiliates in the similar situation. If the owners of Royal Dragon Traders could produce a legitimate and consistent 2.2% daily ROI, they would not be sharing it for free with the public. There is likewise no need to ask for investment only in bitcoin, as nothing other than bitcoin itself is traded in bitcoin. What utilizing bitcoin does do is when invested funds run out, it allows Royal Dragon Traders' administrators to cleanly cut and run which is exactly what GladiaCoin's admin(s) have done. As a potential Royal Dragon Trader affiliate,the bottom line for you is, you are probably going to lose money,unless you are running the company.